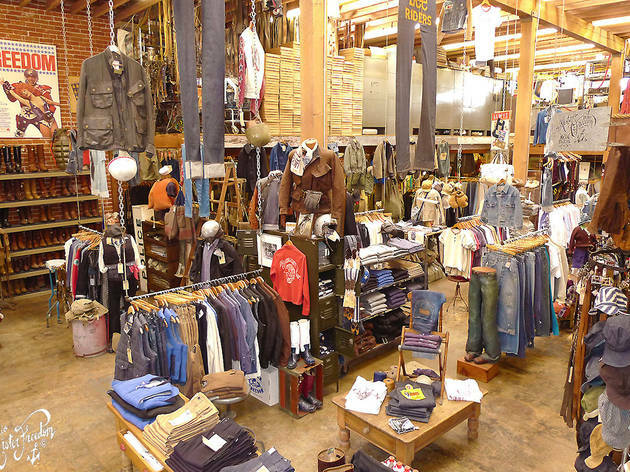 Los Angeles is a mecca for vintage clothing. 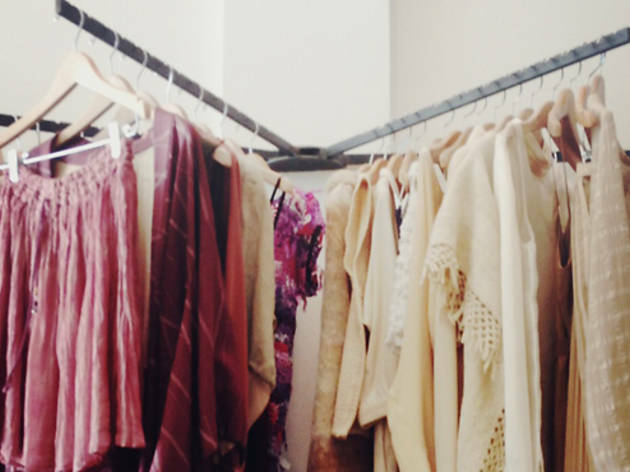 Whether you're searching for a perfect Coachella outfit or even a bridesmaids dress, look no further than these top vintage stores. You don't have to be a fashion maven, such as Nasty Gal's Sophia Amorouso to have a love for the hunt. And while some of these stores call trendy Melrose Avenue home, there are many other great finds throughout the city—you just have to know where to look. 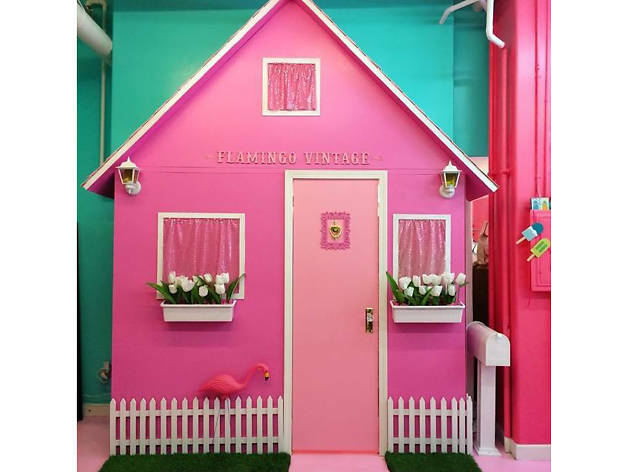 A big sign on the front door of Shareen Vintage proclaims that there are no boys allowed—and not just because there are no changing rooms inside (don’t forget to wear underwear!). 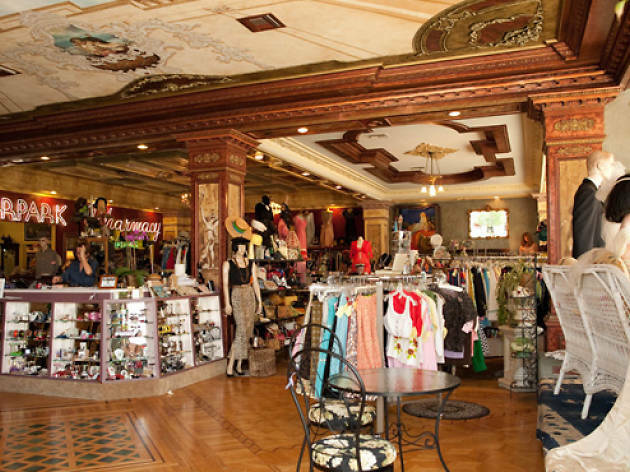 Proprietress Shareen Mitchell buys strictly for the ladies, specializing in fanciful, affordable dresses from just about any 20th century decade imaginable, but mostly the ’50s through the ’80s. 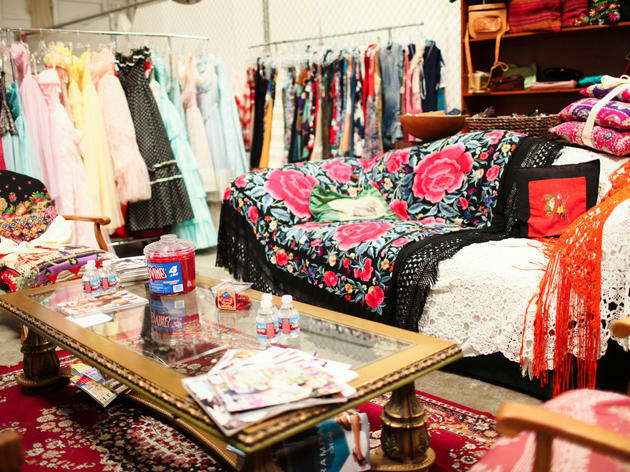 Her Downtown LA warehouse is stocked with hundreds of cocktail frocks, day dresses and bridal gowns, making it an ideal place to spend an afternoon playing dress-up with your girlfriends and the friendly, helpful sales associates. This cozy little storefront is packed literally floor to ceiling with ladies’ goods from the ’50s through to the ’80s. 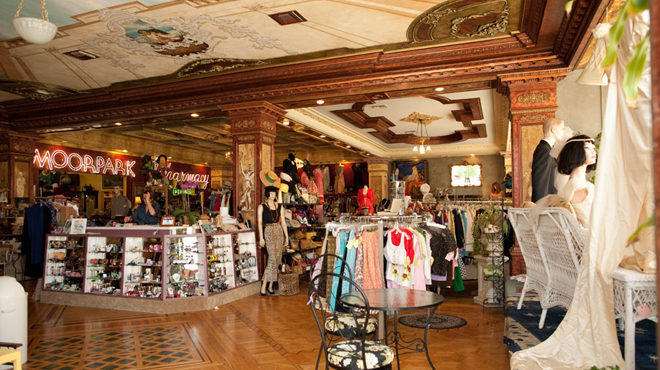 You’ll find plenty of dresses that wouldn’t look out of place on Zooey Deschanel, but what we come here for are the scores of accessories, which include both expected items (sunglasses, hats, shoes, bags, jewelry) and those that you don’t see at many other vintage stores (wallets, hair ornaments). The space is divided down the middle by price—items under $50 are closest to the front, while those over $50 are in the back—but there are also plenty of pieces under $10 for those who are truly willing to dig. 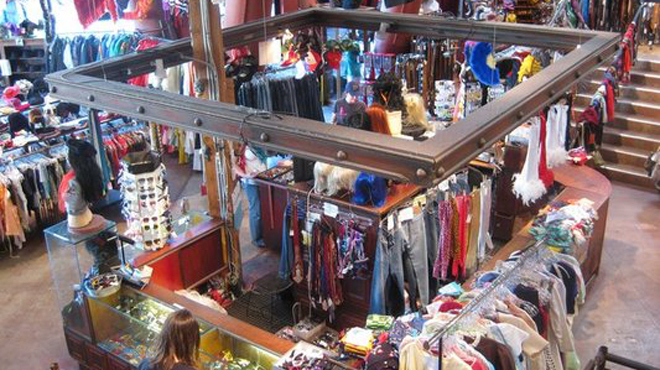 Vintage lovers scour the racks of this Los Feliz mainstay for funky men's and women's threads from bygone eras. Gear also includes a smattering of accessories, handbags and footwear. 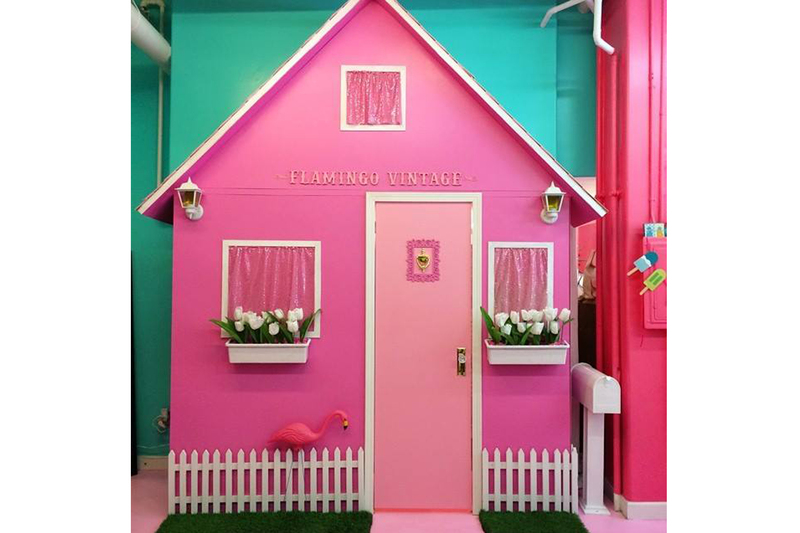 LA native Candice Molayem takes the helm at Flamingo Vintage, located in the heart of Downtown LA. 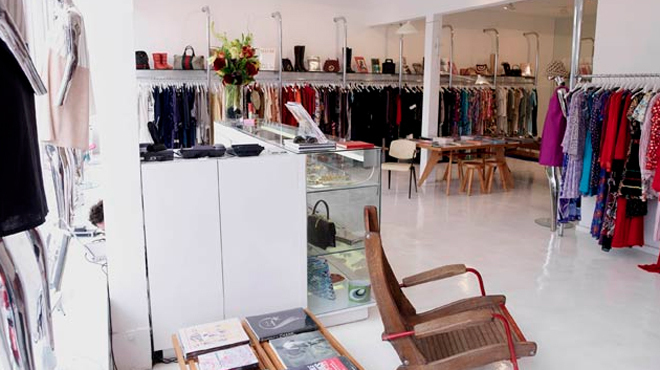 The store stocks high quality vintage clothing and accessories for men and women, consignment designer pieces and items for the home. 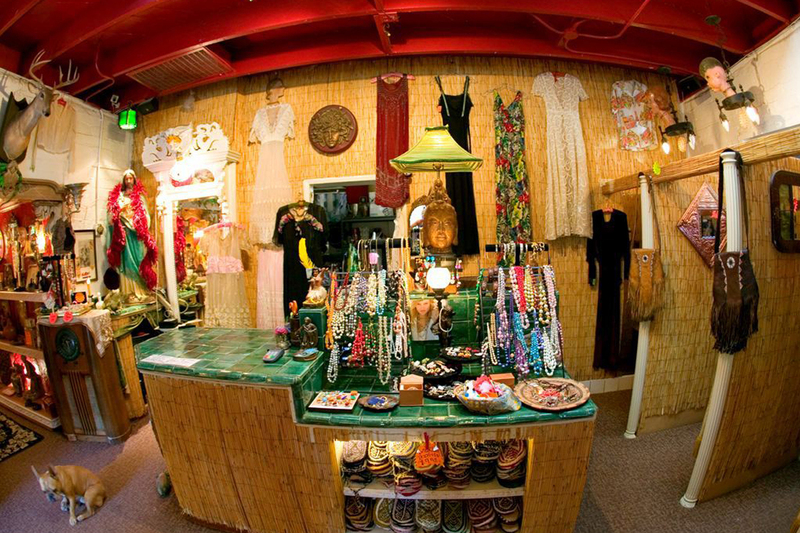 Search the racks for everything from vintage frocks and funky hats to colorful ties and glam swimwear and lingerie. Feeling retro-chic? 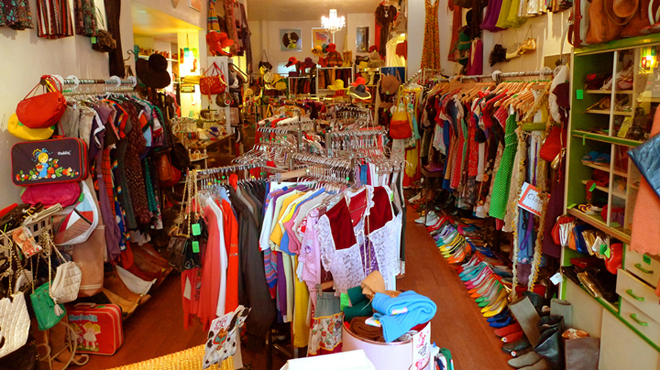 The boutique specializes in garments from the 1940s-1980s and seems to have a thing for Emilio Pucci. A pilgrimage to Resurrection is practically a religious experience for vintage fashion fans, especially those with a penchant for pieces that are a little bit gypsy, a little bit avant-garde. The shop’s sweet spot is its collection of pieces from the swinging ’60s and ’70s—think: mini shift dresses from Pierre Cardin and Courrèges, hanging alongside floaty boho frocks by Ossie Clark and Thea Porter. 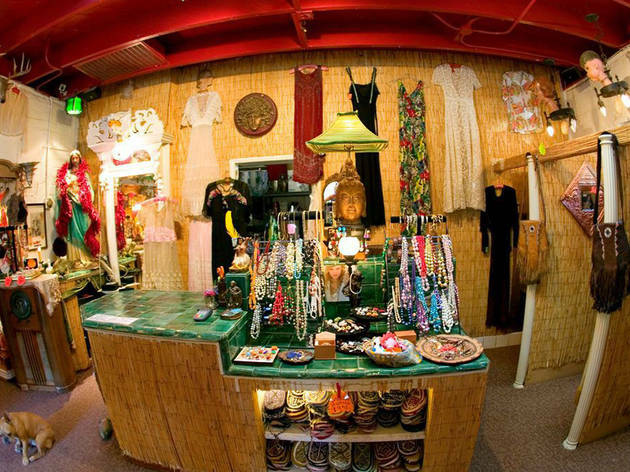 Be sure to check out owner Katy Rodriguez’s own fashion and jewelry lines, which have the same whimsical flair as her vintage pieces at a slightly more manageable price tag. 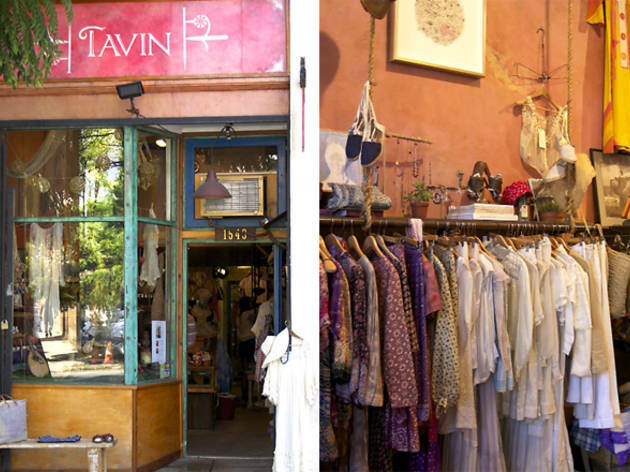 Shopping at Tavin makes us want to move to Laurel Canyon, take up landscape painting and walk around barefoot with flowers in our hair. 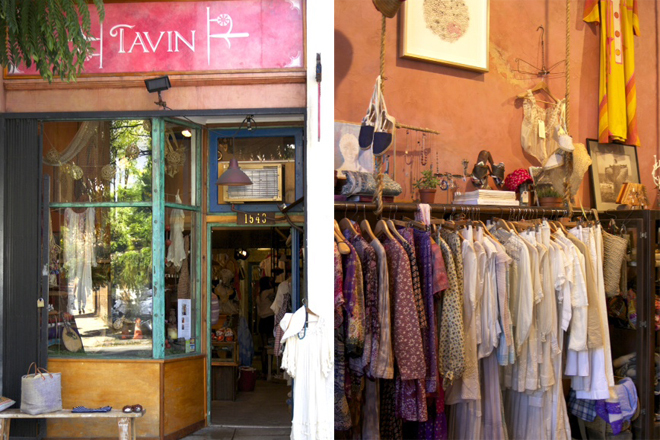 Owner Erin Tavin, a wardrobe stylist and popular Rose Bowl vendor, has one of the most distinct points of view of any vintage dealer in Los Angeles, consistently curating an offering of boho-romantic ladies’ pieces—breezy Indian tunics, white cotton sundresses and lacy Victorian nightgowns, to name just a few. It’s also a popular spot for brides-to-be, and we suggest keeping tabs on the newest arrivals on the store’s Facebook page. 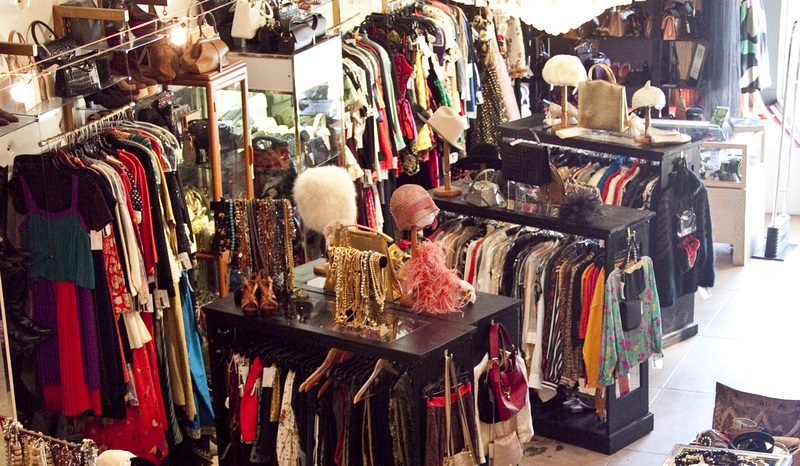 Out of all the high-end designer vintage stores in LA, this is one of the few in which we actually feel welcome browsing the rails without any intention of dropping several grand on a Chanel bag. Shopping at The Way We Wore is like taking a class in fashion history, where owner Doris Raymond has curated a mix of important womenswear from the Victorian era all the way up through the present day—there’s even an appointment-only “inspiration library” for designers that goes further back in time than that. And although most prices are out of reach for the average girl, Raymond holds 50% off sales twice a year—so start saving up now for that Dior jacket. 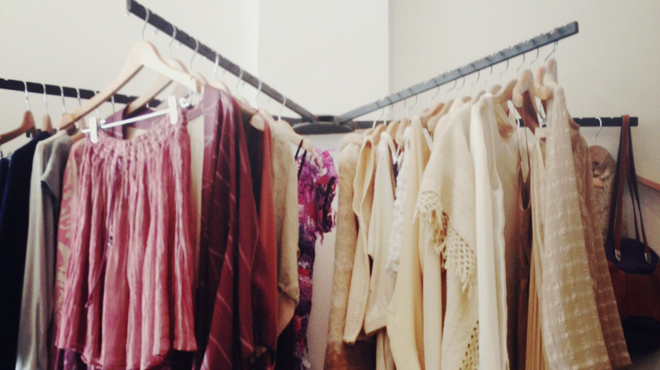 Shopping at this costume designer favorite truly feels like you’re stepping back in time. Maybe it’s the sweet salesgirls with pin curls and red lipstick, or maybe it’s the old neon Moorpark Pharmacy sign that spans the back wall. Perhaps it’s the fact that local grannies, who were likely alive to wear the clothes when they were in style the first time around, are browsing the rails alongside trendy young things. 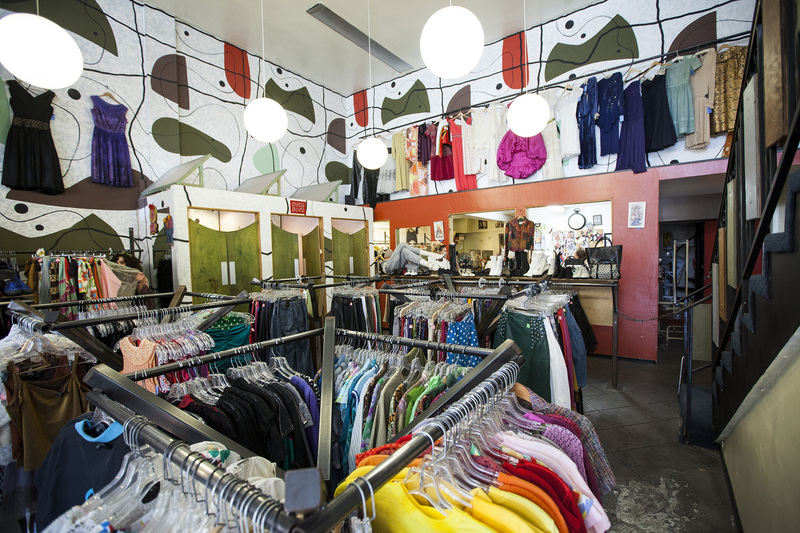 All we know for sure is that Playclothes’ reasonably-priced pieces for men, women, children and the home—most from the 1940s to 1980s, both designer and ready-to-wear—is one of the most consistently fantastic in LA. We’ve never once left there empty handed, and are pretty confident we never will. 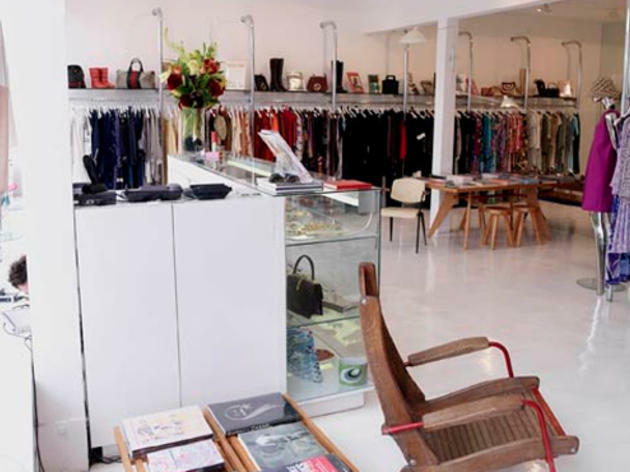 Can’t afford to shop at the Marc Jacobs, Diane von Furstenberg or Helmut Lang shops on Melrose? Not to worry—Wasteland always has plenty of these designers and more, for less than you’d pay for lunch at The Ivy. 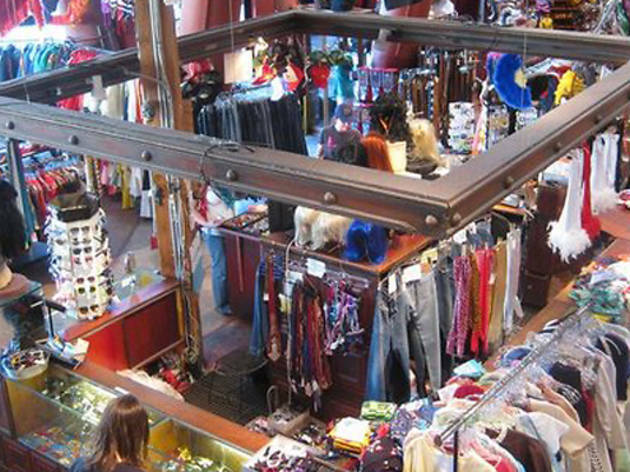 This sprawling consignment shop is filled with rack upon rack of lightly-worn clothing and accessories for guys and gals, with a bit of vintage in the mix as well. 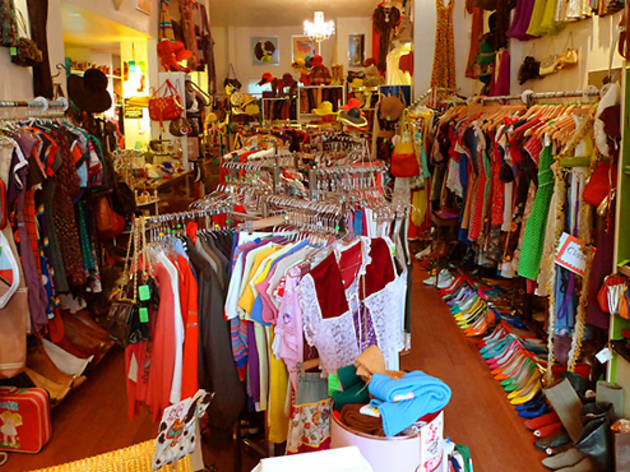 The store also allows you to sell your closet castoffs for cash or store credit—we often spot celebs among the selling crowd, with garbage bags full of swag in tow. 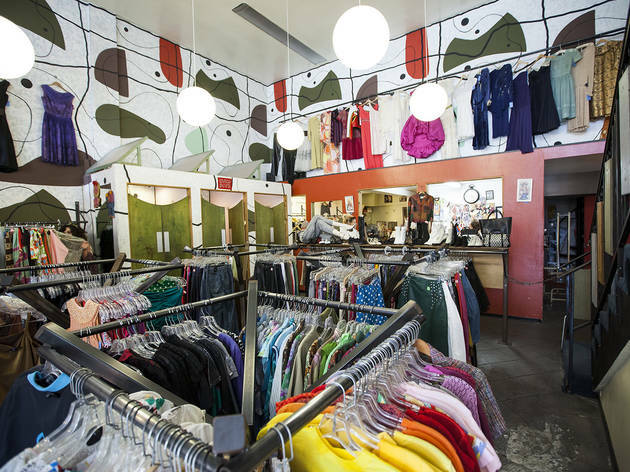 Once you shop at Jet Rag, every other vintage store is going to feel wildly overpriced—that’s because just about everything on the rails, from 1960s evening dresses to 1970s polyester men’s dress shirts, is under $30 (and in shockingly good condition). 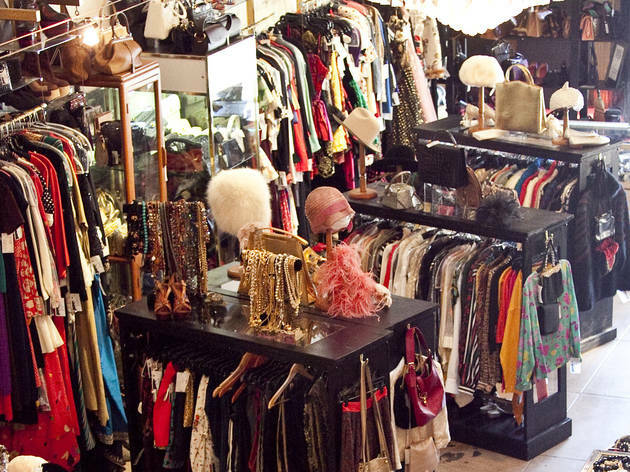 This is not the store for those who like their vintage mix edited; rather, it’s for those who like to spend hours hunting through thousands of pieces for that unexpected something, no matter what the era or style, on racks so full that you can’t move hangers aside. For the ultimate bargain, show up at 9am for the weekly Sunday parking lot sale, where everything is $1. Ask any denim designer where they go for inspiration, and it’s likely that Mister Freedom is on their list. Owner Christophe Loiron has amassed a huge collection of old-school men’s jeans dating back to the 19th century, including brands both well-known (Levi’s, Lee) and those that have long been off the radar. 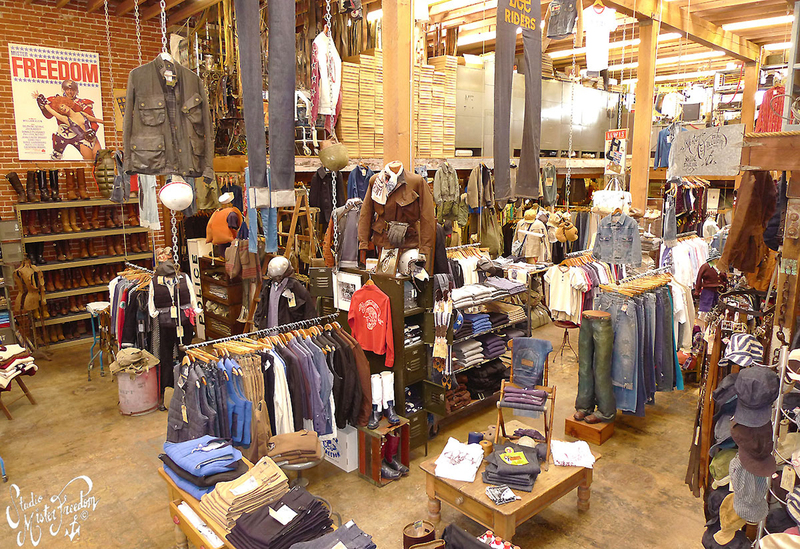 Be sure to look out for vintage military garb, graphic tees, flannels, western shirts and workwear, along with Loiron’s own Mister Freedom line—some of it made in the store with archival fabrics, and other pieces made elsewhere in the USA and Japan. Scout is the true fashion fanatic’s vintage store, boasting pieces that might be deemed a bit too conceptual for the general public. You’ll find pieces from big name designers—Thierry Mugler, Alaia and Calvin Klein are just a few of the names that have cropped up in the past—as well as lesser-known brands and sculptural jewelry that are just as jaw-droppingly rad, with price tags that refreshingly tend to remain under $200. Store owner Joey Grana is the co-founder of biannual vintage show A Current Affair, so you can also shop the best of the Scout goods there.